The 2002 Colleges, Universities and Scholarships Page is designed to offer college-bound students, parents, and counselors easy access to information on colleges and universities throughout the United States, free scholarship and financial aid searches, SAT and ACT test preparation tips, and more. This commercial site contains helpful hints for writing effective essays required in college applications as well as free interviewing tips, info on how to choose a college and SAT prep course. Comprehensive site with information on the college selection and application process and financial aid. Use this database to search for colleges by program, state, school type, sport and school name. Download free software for applications to more than 500 U.S. colleges and universities. The site also includes tips that will make the admission process less stressful, and help you find financial aid. Apply to twenty historically black colleges with one application for $30. This site sponsored by ACT has a college search feature, college applications on line, ACT’s Financial Aid Estimator, and virtual college tours. Campus safety is a topic that should be considered by students and parents as part of the school selection process. The OPE Campus Security Statistics Website is a direct link to reported criminal offenses for over 6000 colleges and universities in the United States. If you are thinking of attending college in a large urban city, a small liberal arts college, a specialized college, or a community college you can find their security statistics here. Website is maintained by the Office of Postsecondary Education of the U.S. Department of Education. Searchable data base allows visitors to locate a suitable college by program, name or location. Once a college is selected a student can request more information electronically. A parallel version of the site is especially for international students who wish to study in the US. Site also includes career guidance information. The Campus Tours Index provides fast and easy access to interactive tours of colleges across the United States. Comprehensive, but somewhat commercial site on a variety of post secondary opportunities. Mega page with links to college information sites; department sites;student, graduate and faculty sites; sports sites, and collegiate organization sites. Figure out which college is right for you and how to pay for it. This site is affiliated with Minnesota, but has many articles about the college application process that would benefit students in any state. Site from the University of Virginia has sound advice on choosing your major. Includes separating myth from fact, strategies for choosing a major, and evaluating the majors/ careers you are considering. Since 1992, all colleges have been required by federal law to compile annual statistics about crime on their campuses. Each year The Chronicle asks all colleges with enrollments of more than 5,000 for copies of those security reports. 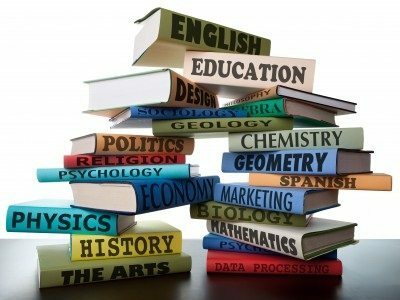 Offers help on the SAT & ACT, has a collection of college stories, and evaluations of colleges from the student’s perspective. Students, parents, & counselors will find a comprehensive menu of information to aid in the transition to college. Includes EXPAN – for free – college, career & financial aid database. A nonprofit information service for college bound students. Topics include preparing for college, selecting, applying, paying, first year, time line, and other links. Information on preparing quality college applications including : getting organized, online applications, the Common Application, Early Admission Programs, getting great recommendations, writing college essays and preparing for interviews. Huge site contains links to careers and majors, college selections, financial aid, scholarships, test preparation, and summer programs. Comprehensive site guides you through the entire process from researching colleges to getting in and paying for them. Search colleges by state, major and other factors. Take a virtual tour of some colleges and ask experts questions about the college admissions process. This comprehensive site sponsored by a coalition of universities contains information on selecting a college, application process, and financial aid. Comprehensive college information site takes you from planning, exploring, applying for admission to college to scholarship and financial aid information to help you to pay for it. College magazine is a timely and empowering source of information and advice for parents as they guide their teenagers through the successful transition from high school to college. College carries features of interest to parents at all stages of the college-bound process, from high school and through the early college years. Written by moms (OK dads too) who have experienced the pursuit of the college adventure with their teenagers. Topics covered will relate to high school, getting ready for and college activities. Wide variety of college info including searching for matching characteristics, graduate programs, financial aid, scholarships, featured schools. Free campus new wire includes text from many college newspapers in the Chicago, New York Boston, and Philadelphia areas. This site is a direct link to over 9,000 colleges and universities in the United States. If you are thinking about a large university, a small liberal arts college, a specialized college, a community college, a career or technical college or a trade school, you can find them all here. This site was created by the National Center for Education Statistics in the U.S. Department of Education. It was authorized by Congress in 1998 to help college students, future students, and their parents understand the differences between colleges and how much it costs to attend college. If you are not sure what colleges might be of interest, COOL has the tools to help you search for a college based on its location, program, or degree offerings either alone or in combination. Once you’ve found some colleges of interest, you can obtain important and understandable information on all of them. A complete college planning and preparation site. It includes planning calendars, financial aid summary notes, downloadable application forms, and links to a product engine to customize your financial aid package. This on line course is intended to provide high school students with the information they will need to decide on attending college. Included in the lessons is information to help with college preparation, selecting a college, easing the transition to college, and managing the changes in life which occur during college. Features in-depth profiles with information about academic programs, athletics, campus life, and financial aid, along with geographic search,directories for honors programs, women’s colleges statistics on minority enrollment and numerous other resources for prospective college students. This site not only searches for college programs by state, but also allows you to find colleges by specific career fields, majors, and occupations. The University of Illinois has gathered links to a collection of sites that rate colleges with various criteria. The site also discussed the philosophical difficulties with the whole process of ranking colleges. A free online college search service with profiles of 3,500+ colleges & universities, sites, virtual tours, electronic applications, financial aid info, career planning tools, and more. Find others with similar interests in Coffee Shop. Based on the book by Loren Pope and filled with information and first hand experiences, this website offers a unique perspective on forty remarkable liberal arts colleges. You can also sign up for a free monthly newsletter filled with advice on preparing for college and specific universities. Visit this site to download a pdf file (Adobe Acrobat needed) of the Common Application accepted by 230 colleges and universities. On this page you find links to various dormitories (or residential homes) from all over the globe. Some offer pictures of their dorms and/or include short essays. The dorms are sorted first by the country they’re in and secondly by the university’s name. Although this site is sponsored by a bank in Nebraska, it has much valuable information about preparing for college and financial aid that would be useful for students everywhere. With FAFSA in hand, anyone anywhere can get the estimated funding question answered. This commercial site offers to assist students with writing essays for college applications. It also offers free access to admissions essays accepted by top colleges. This commercial site is rich in free information that a student should consider in writing an essay for a college application and offers suggestions and strategies, as well as suggesting other books to read. Comprehensive commercial site has information on selecting a college and paying for it. Dedicated to providing information and services related to historically black colleges and universities, site offers students the opportunity to connect worldwide. The admissions director of Duke University gives real life examples of how the admissions process works. This commercial site offers to help you edit your college application essays for a fee. However, this part of their site has helpful free guides to writing essays and applying to colleges that may be downloaded for free. commercial essay writing service also gives free writing advice for competitive admissions programs. Test Prep on line. College application software, career info, self tests plus many more topics. Site sponsored by noted finance magazine sorts the schools in their survey of public colleges by overall rank, cost, quality measures or financial aid measures. Clicking on the college names after the search will take you to their Web sites. the site also has a similar search for private universities. This site gives advice for college success — to survive college, get a degree, and have great opportunities available after school. Many topics including picking a major, managing money, acing finals, etc. On this site you’ll find information to help you plan your career, select a school & plan for your future. This site has a college search section as well as articles about admissions, getting money for college, and doing well once you are admitted. Take a short quiz on this site and it analyzes this information and suggests six majors to think about because they match your interests and high school experience. It can also give you more information about what these majors are, what type of courses you would take to get a degree and what jobs are available to graduates with various degrees. Free “Ask the Counselor” advice on the college planning and selection process and fee-based admissions reports. Comprehensive site allows you to explore majors, find a college and research careers. A searchable database of 900+ career fields, 6000+ vocational schools, colleges, and universities and links of scholarships, sources of loans, financial aid and advice. Comprehensive new college information site. Site from the University of California – Berkley walks a student through the process to follow to compose an exemplary personal statement as part of the college application process. The Education and Career Center includes consistently organized information about educational opportunities at all levels. It also gives the ability to search Peterson’s databases and share info with others. On line applications for 209 universities and graduate schools – some can be transmitted electronically and some can be printed and mailed in the usual manner. This site produced by the US Department of Education explains the benefits of a college education and about ways to put college within reach academically and financially. Throughout their school years, students make academic and other decisions that affect whether they will be eligible to enter college. The Princeton Review helps people find and get into the right college or other school. They have great resources to help with testing, admissions, financial aid etc. Offers a little something for everyone; a comprehensive list of colleges from around the world, chat rooms, financial aid sites, and links to information on college prep exams. The National Association for College Admissions Counselors (NACAC) distributes a bi-monthly newsletter with timely college advise. New topics are highlighted. Archived topics are also readily available. U.S. Government – wide initiative to deliver electronic services from government agencies and organizations to post secondary students. The site has links for information on: planning and paying for your education, internships, community service, career development, and military service. Comprehensive college guidance site has sections on searching for a college, admissions & tests, and scholarships. Resource of information on post-secondary and graduate education in the US, Canada, and internationally. The main feature of the site is the School Search – enter your post-secondary or postgraduate preferences and get a list of all schools that meet your needs geographically. You can then browse through detailed School Info – information on academics, sports, admissions, student activities, computer facilities and housing. Quotes from college students giving tips to high school students about their experiences adapting to college realities. This tongue in cheek site does have a link to the Cambridge Essay Service, a for fee site that offers help with writing college essays. Even if you don’t use the service, you might find some of their suggestions helpful. As you read these excerpts, think about ways you might revisit your current high school activities in order to help you better prepare for success in college. Search for the college that’s right for you by geographic region, state, city, type, major, or Title IV eligibility. Also has information on graduate schools, financial aid, and studying abroad. Answers to question submitted to USA Today during their 1999 feature on getting into college. Site from the University of North Carolina links career to the majors available on campus. Comprehensive site assists students with preparing for college, test preparation, and obtaining financial information. Comprehensive site allows students to search for colleges, take virtual tours, apply online, get financial information and plan a career.